You might think you're smooth. 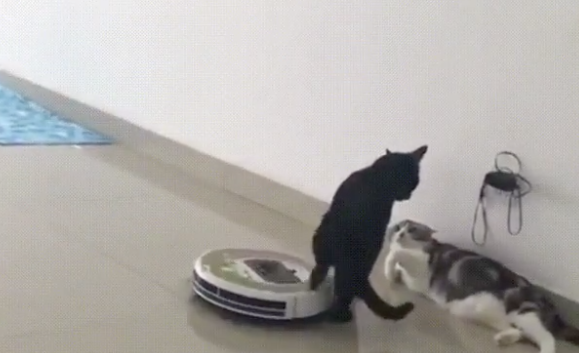 But you'll never be as smooth as this black cat redirecting a robotic vacuum with its back leg WHILE continuing to aggressively stare down another cat. I mean, it doesn't even move its head as the vacuum approaches. So good. There's SO much Star Wars merch out there and few galactic items catch my eye anymore. Get that second mortgage because prices for these snazzy limited-edition vacuums start at $599. 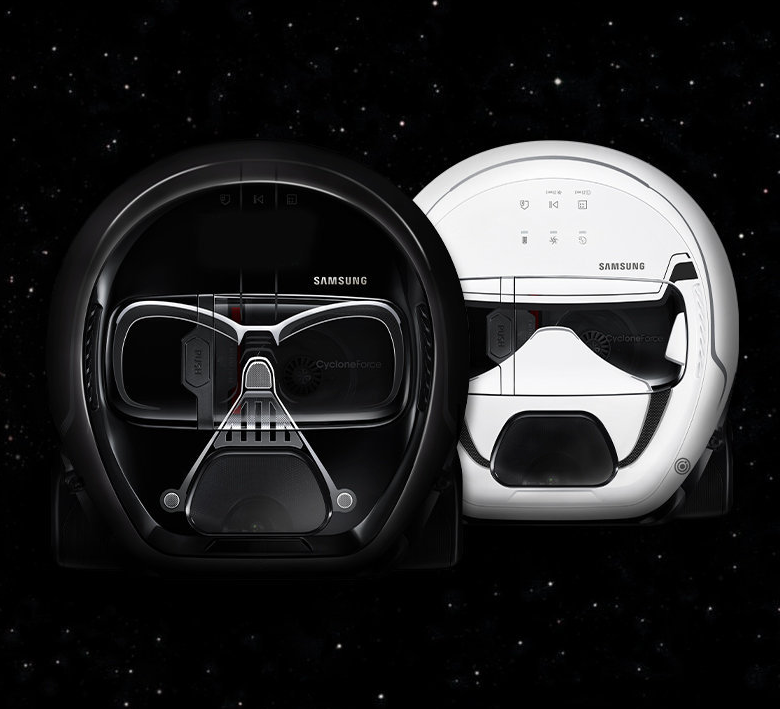 Oh, just a baby riding around on a robotic vacuum. Usually it's a cat, but today it's someone's sprog. The inventor of the Roomba robot vacuum, Joe Jones, has come up with something new: a solar-powered weeding robot called the Tertill. It will patrol your home garden daily looking for weeds to cut down. How does it know what's a weed and what's a plant? Tertill has a very simple method: weeds are short, plants are tall. A plant tall enough to touch the front of Tertill's shell activates a sensor that makes the robot turn away. A plant short enough to pass under Tertill’s shell, though, activates a different sensor that turns on the weed cutter. Get your own weed-killing robot for $249 through the Tertill's Kickstarter.